When you’re searching for one of “man’s best friends” for your family, you look for a kennel and breeder that has the knowledge, experience, and care to provide that perfect match between you and your new puppy. SacRiver Kennels provides all that, and more! Located about five miles southwest of Ash Grove, Missouri, our family owned and operated kennel and breeding program is located on our 900+ acre farm. We are just as proud of our accomplishments at SacRiver Kennels as we are of the ongoing operation of our 6th-generation family farm. The hard work, love, and dedication that have gone into maintaining this generational property, have also gone into the operation of our kennel. We are proud dog breeders specializing in six different breeds, many with champion bloodlines. 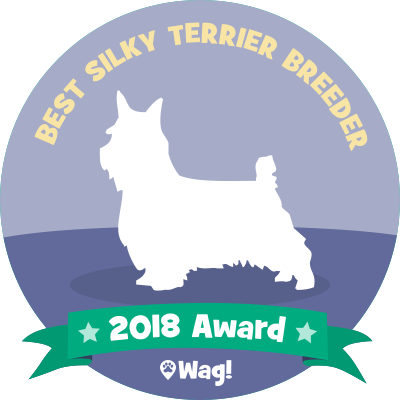 At SacRiver Kennels our breeds include Boston Terrier, French Bulldog, Silky Terrier, Yorkshire Terrier, Standard Shih Tzu, and Pocket Shih Tzu. Our Designer Breed include Frenchtons or FrenchBos (1/2 Boston Terrier and 1/2 French Bulldog). Each of these precious breeds have their particular positive attributes and our primary objective is to provide you with the perfect puppy to fit your family and your life style. SacRiver Kennels is a state of Missouri and USDA licensed breeder, and in good standing with the American Kennel Club, American Pet Registry, and the United All-Breed Registry. Before breeding, we screen for appropriate traits and all puppies sold come with a written health guarantee. All SacRiver Kennel puppies have been vet checked, are current on all vaccinations, and a worming schedule has been adhered to.